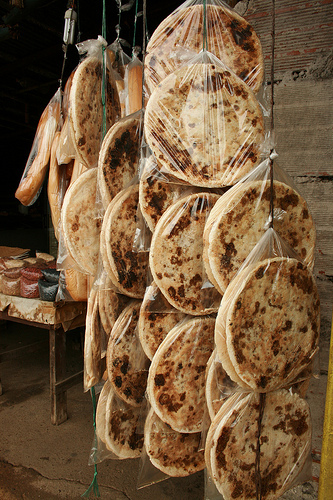 Casabe is to eastern Venezuelans what arepas are to the country at large. An everyday bread made from yucca flour, it accompains just about anything. Soup? (Mondongo, fish, chipi chipi) … some casabe on the side. Fried sardines? Put them on casabe. Tuna Salad? Casabe. Salpicón de Mariscos? Casabe. A cheese platter with Brie and Edam? You better have casabe or we are not having it. Oh, you say you have a sweet tooth, don’t worry, there’s a type of casabe dessert for you too. 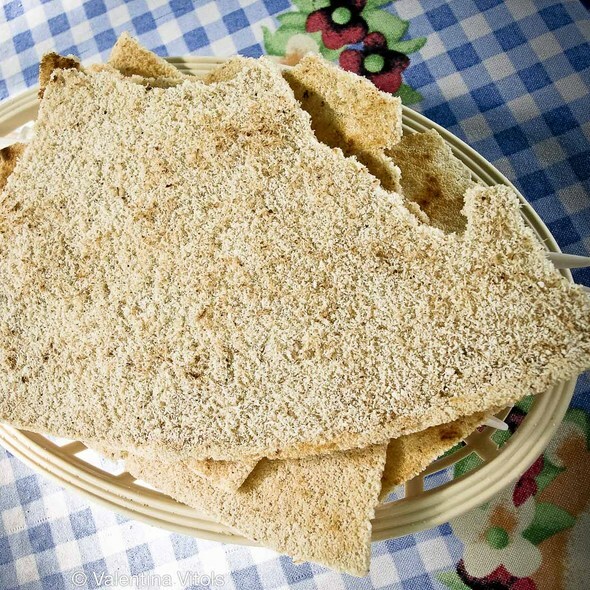 Now, I hate that brittle “galleta casabe.” No dear, my casabe is that thick jawbreaking hard stuff you get in Cúpira, or on the road to Cumaná, the type you sometimes have to sprinkle some water on because your jaw is sore from all the chewing. Unfortunately, casabe never made it internationally like arepas did, as I have recently discovered. You can get Harina Pan in more than 20 countries. But casabe? That’s a bit more complicated, a tougher sell. I have stashed the cakes in my suitcase more than once. I have held on to them in customs, hoping bureaucrats will understand that it is processed and will hold no threat to their wildlife and/or yucca plantations. We send it periodically to my sister who lives in Asia. My little sister got into some hot water with mom because she ate the last pieces of casabe in the house. She learned her lesson, and while she visited me, she asked me before taking it. I allowed it only because I knew that I was going to get some new cakes soon. When I visit my family abroad, the list of things I’d like goes something like this: Savoy chocolates, Torontos, Atamel, and please don’t forget the casabe. When we go back to Venezuela, my Nana always remembers to buy it a few days before, so it will greet us. Food travels with the immigrant. I remember my parent’s friends telling a story of a girl traveling to the U.S.A.. Her father had packed for her tiny chicken eggs in a Camprolac milk can; she cried as the customs officer broke each and every one. The comedian George Harris has a stand-up comedy show of Venezuelans going through immigration, … it ends with the passenger lady giving the officer some cheese in a plastic bag as a gift. But why is it so important? Why are arepas, casabe, dulce de lechoza, queso de año, Torontos, Savoy, empanadas, tequeños, queso telita, and mango pecho ‘e paloma so important? Why do people go to extreme lengths to keep those textures, aromas and flavors in their immigrant home. Because food is more than a basic source of nutrients; it’s also a key component of our culture, central to our sense of identity. And being an immigrant means having to reconstruct your identity. It’s a give and take, resistance and change. I guess maybe, in a way, we cling to our food to soften the path toward our new selves, to make the journey bearable. It is a safe haven in the mourning process that is emigrating, a keepsake of the past, of whom we used to be. I am down to my last casabe cake. I will now eat it only for something important, like for tasting a good white cheese. I will proceed to hide the casabe from my husband. He’s from Caracas. He just doesn’t understand.